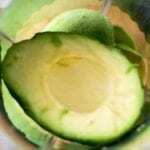 A simple, vegetarian Creamy Avocado Soup recipe. This soup is made with delightful ingredients and perfect for those cold winter nights. Takes only 20 minutes to make! The weather is cold outside and I can feel the chill in the air. What’s the best way to stay warm and cozy? 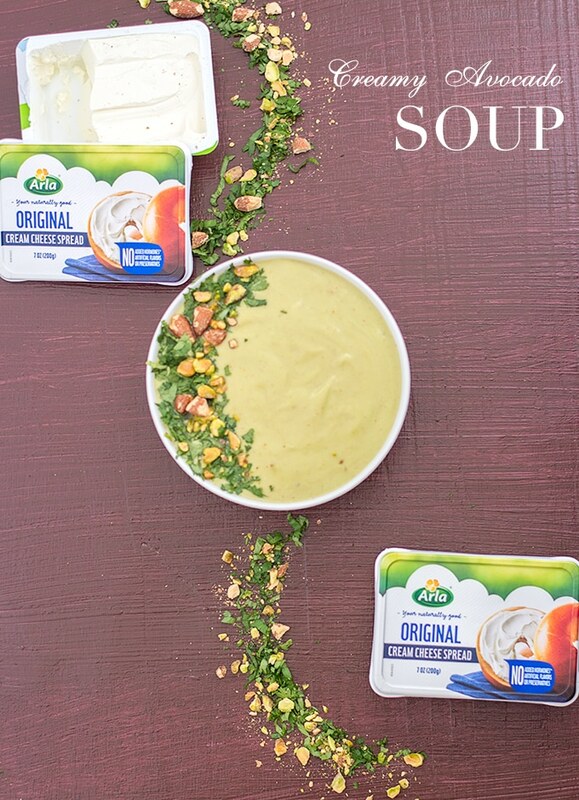 Have this soup in hand and the low temperatures won’t make your teeth chatter! 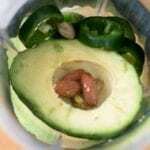 I have never made avocado soup until now. You have no idea how much I am kicking myself for not trying avocado soup before this. It makes cold, gloomy days feel like bright, sunshine-y days! 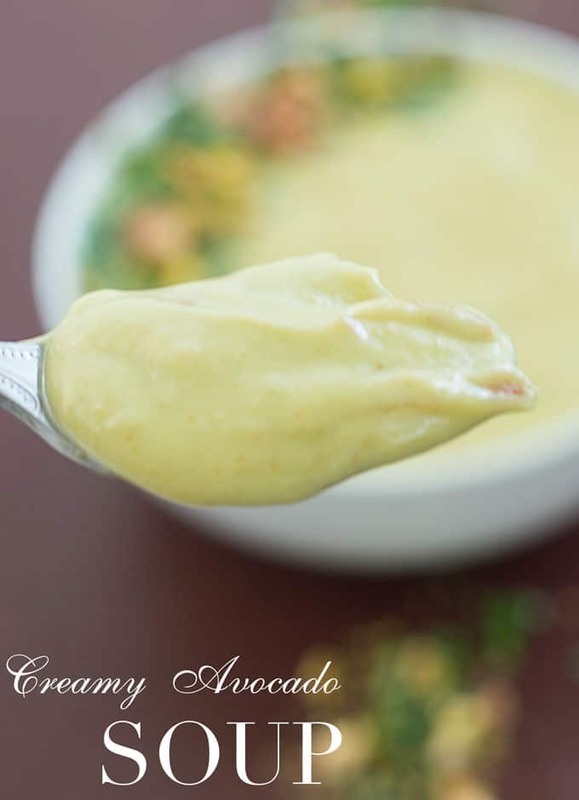 This creamy soup is crazy simple to make because I use easy ingredients and I made it in 20 minutes! My philosophy is that winter soups should always be easy to make. My pumpkin soup and my butternut squash soup are ready in 30 minutes or less. The not-so-secret ingredient in this soup is an amazing cream cheese!! I know, right?!?!? Best idea ever! Cream cheese in soup is a delicious idea. It gives the soup a creamy texture and taste. More importantly, the type of cream cheese makes all the difference in the world. Lucky for me, I was able to use my favorite cream cheese that I discovered in the dairy section at Publix! 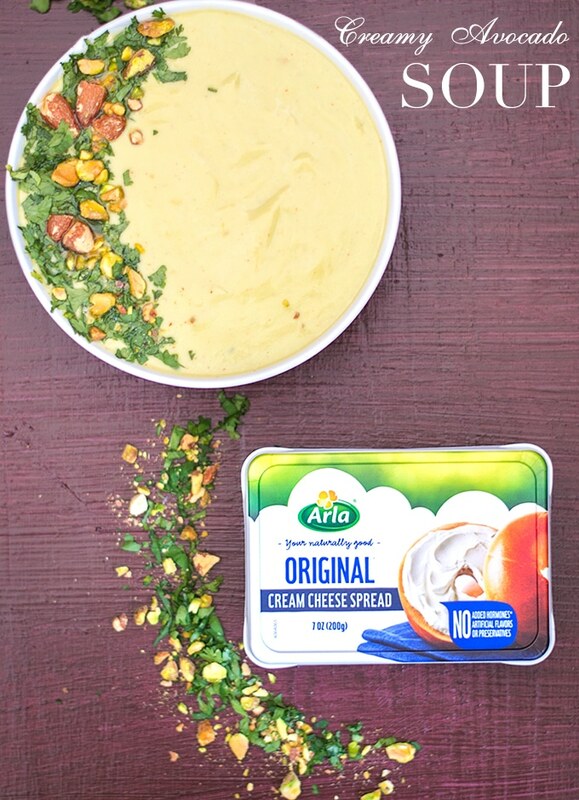 Arla Cream Cheese comes in a 7 oz. tub container and that makes a huge difference for me. The cheese is always fresh and soft. The tub container also makes it easy to scoop out the cream cheese and spread on toast or a bagel. The ingredients are so simple and recognizable which makes the cream cheese taste heavenly! I wanted to keep this soup as simple as possible, so, all the ingredients are easily found in your pantry. I have 4 flavors to choose from and I can’t wait to try them all. 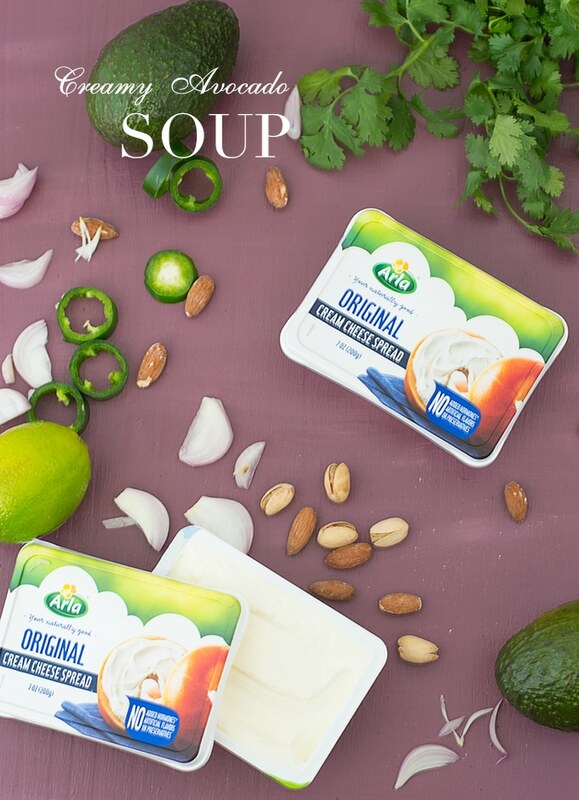 My next one to try is the Arla Herbs & Spices Cream Cheese! Their strawberry flavored cream cheese is going to go great on a bagel! 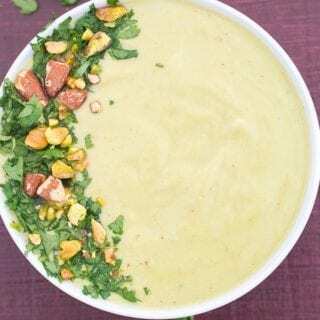 I garnished the soup with cilantro, pistachios and almonds. It added an amazing crunch to the soup! 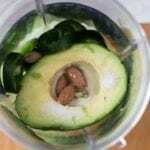 Choose any combination of nuts as a garnish. I think hazelnut would be perfect for the soup. Instead of broth of any kind, I went with coconut water. 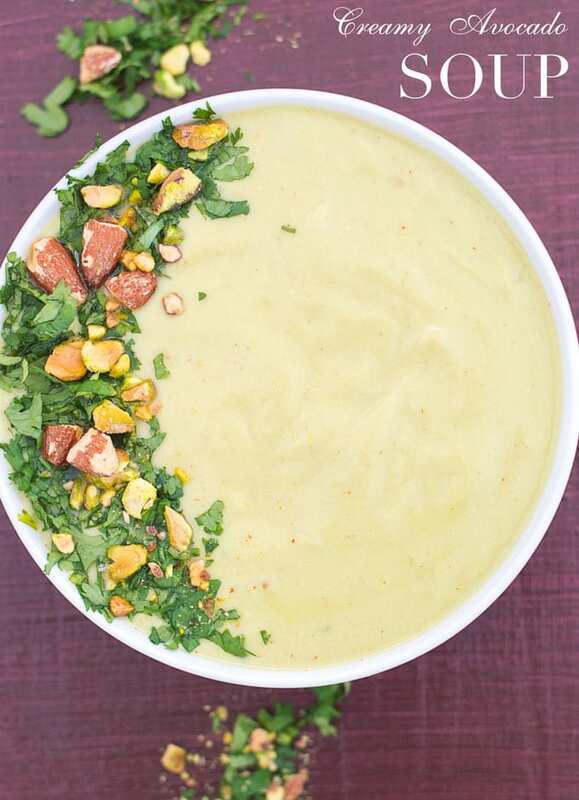 Choose a lightly flavored coconut water because it will not add flavor to the soup. 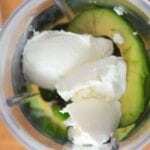 Coconut water goes so well with cream cheese! This soup is all about the garnish too. 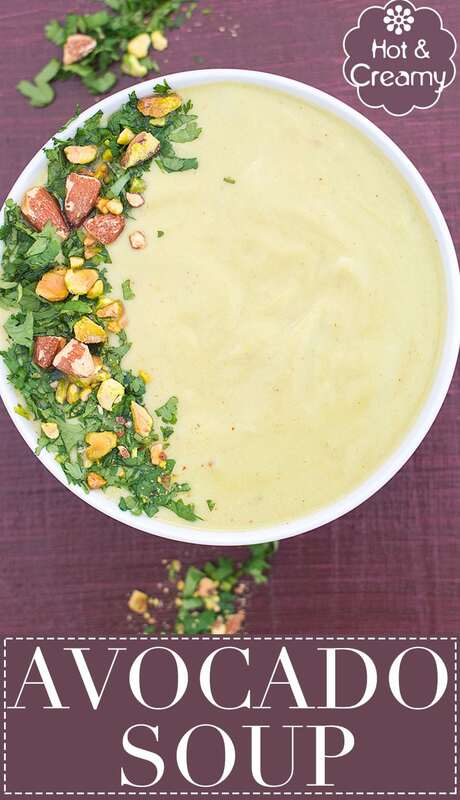 You will love the cilantro, pistachio and almonds mixture. 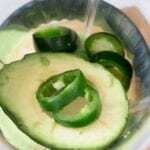 Not only does it add a vibrancy to the recipe, it also adds a crunch and flavor to it. If you don’t like cilantro, this recipe just might change your mind on it. * I like the texture of the shallots in the soup. If you don’t want to "feel" the shallots when eating the soup, add them to blender after browning them (Steps 8-11). Add the roasted shallots + ginger to the other ingredients mentioned in step 1-6 to the blender. Blend until smooth. Continue with step 12. * This soup is best served hot. If it turns cold, reheat before serving. I’m calorie conscious…The nutrition label says ‘Amount per Serving ‘ (4cups)…so do I divide by 4 to get the nutrition facts for 1 cup? Thank you, Shirley. There seems to be an error in the nutrition info. I have updated it to show the correct details. Its 571 for 2 cups, so, it comes out to about 285 calories for 1 cup. I forgot to mention that we ended up leaving out the water which gave the soup a thicker consistency, making it a meal within itself! This soup is amazing! 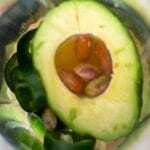 My in-laws have an over abundance of avocados from their avocado trees right now, so we were scouring the internet for interesting avocado recipes yesterday and came across this one. We made it last night and everyone (my in-laws and fiancé) loved it! We plan to make it several more times this week. 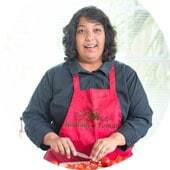 Is it OK if I link to this recipe in my blog? 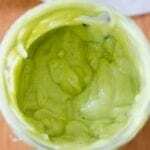 I’m writing a post about what we’ve used the avocados for. 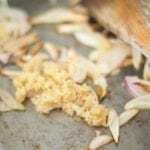 I wouldn’t include the recipe, just the name, link, and a photo of our results. Thank you! Thank you, Sandi. I really appreciate the compliments. I’m in love with this soup that delicious cream cheese makes it just so creamy and the garnishes give it the right amount of crunch. Lovely meal and perfect anytime! Thank you, Debra. That’s high praise coming from the soup connoisseur. 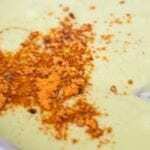 I never used cream cheese in soup before this recipe and now I am wondering why?!?! It tastes so amazing in it.